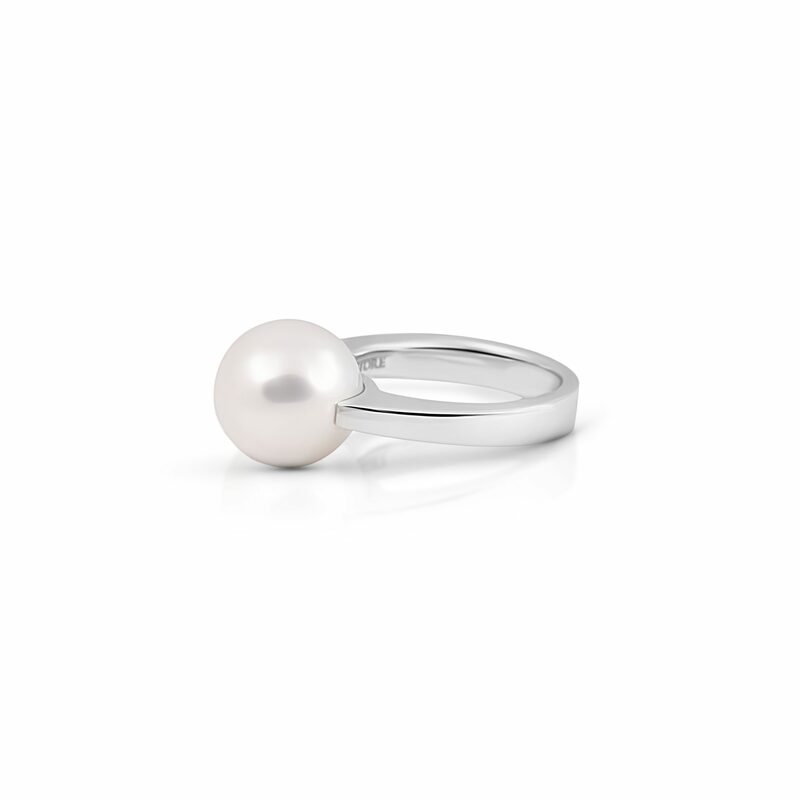 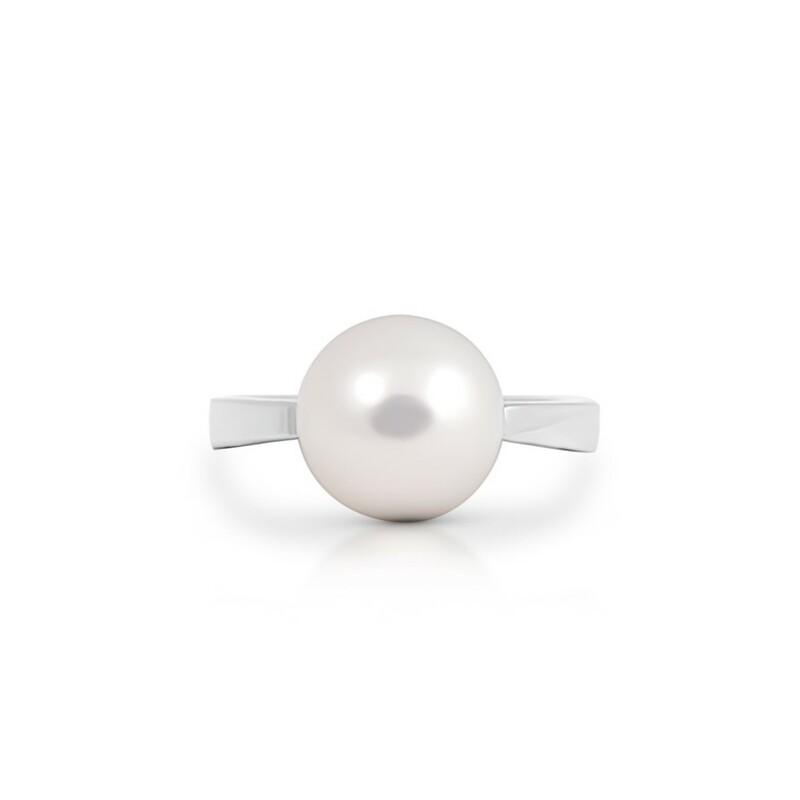 An 18K white gold Autore South Sea pearl ring. The pearl is 11mm in diameter and has excellent lustre and excellent skin. 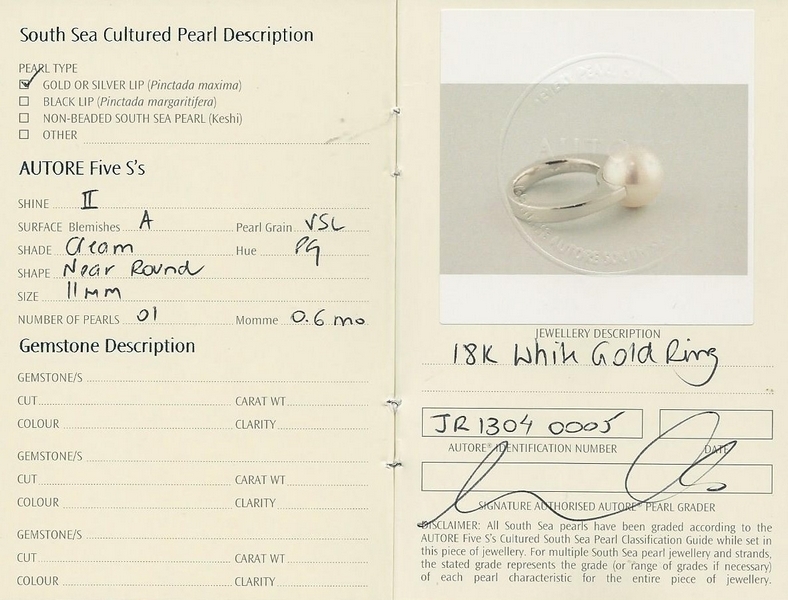 Read about Autore pearls and their farms here.